Posted October 4, 2018 by Astrid Mallet & filed under Event, Featured, Home Page Features. 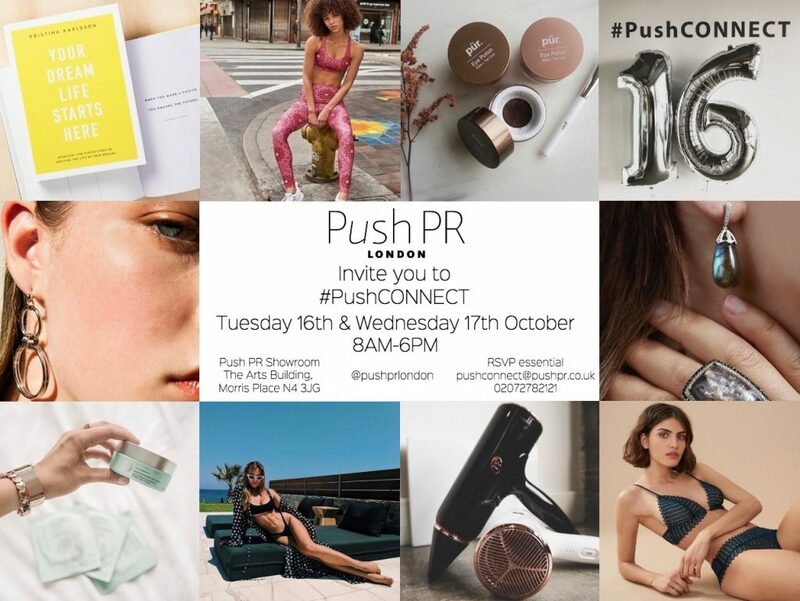 Don’t miss our two day #PushCONNECT showcase in the Push PR showroom on the 16th & 17th October – where you will get a peek on the latest Push client collections and collaborations. Come and have a look at our beautiful showroom where our #PushTEAM will be present showing you around, meet the clients, meet creatives and just hang out! RSVP to pushconnect@pushpr.co.uk if you want to join us. See you there! Some action from our last #PushCONNECT showcase this July!